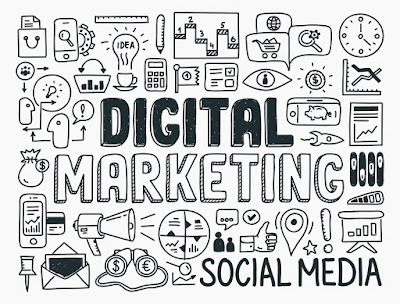 Want to take your digital marketing into your own hands? We've got a bunch of ways you can get started that are completely free. All you'll need is a bit of time and a positive attitude and you could be increasing your number of customers in no time! You’ve watched your business grow from an idea into a fully functioning operation. You’ve achieved a lot, but it’s probably time to take it to the next level now. Things are going well, but a few extra customers wouldn’t hurt, right? Whether you’ve got a website or not, harnessing the power of digital marketing is one of the most effective ways to bring potential customers straight to you. The best part? Much of it can be done for free, with just a time investment on your part. We’ve put together seven tactics you can utilise to make yourself and your business more visible across the digital space. A website isn’t required for some of them, but we still highly recommend investing in one so you can achieve the most for your product or service online. In the coming weeks we’ll also be covering a lot of these methods in detail, so stay tuned! Depending on how much time you invest, social media can be a really great way to spread the word about your product or service. Facebook and Twitter are the two major platforms, but Google+ is also on the rise. Other channels may be highly relevant to your industry, too. For example, if you provide professional services, having a presence on LinkedIn is a must. Likewise, if your business can be visually showcased, photo-based social media, such as Instagram, Pinterest, or Flickr are ideal. With social media, you get out what you put in. If you take the time to grow your audience, post relevant content, interact with your followers, and even run the odd competition or two, you’ll see rewards. If you set up the accounts and never update them you’ll see little to no benefit. Content is extremely important in the current online environment. Ensure your site features as much relevant and engaging information as possible. This is something that often gets put on the backburner because it can be time consuming and the benefits are long term and not instant. We’d strongly discourage doing this – if you don’t have the time, see if you can hire an intern or student who could help out with content on a casual basis. Creating a blog section on your site is a great way to feature content so it doesn’t interfere with the main site where you keep all of the practical information about your business. Once you have some great content uploaded, don’t hesitate to share it across your social media accounts. This helps spread it around and, who knows, it may even go viral. Title tag optimisation often comes under the heading of SEO, which can be a technical digital marketing channel. However, while you may leave the heavy duty stuff to an agency or SEO expert, there’s no reason why you can’t adjust your own title tags (these are the names of each web page on your site). Each page should be uniquely named and describe what it is about in less than 65 characters. Title tags aren’t everything in SEO, but they have been shown to have a huge impact when it comes to showing up in Google’s search results pages. Installing web analytics on your website is crucial for online success. Google Analytics (GA) is the best program for small businesses – it’s free and easy to install and use. Once you have GA running, you’ll be able to see important numbers, such as visits to your site, as well as sales. If you’re tech-savvy you’ll be able to dig down into extremely detailed data. This is important for determining what is working on your site and what you need to change in order to make it convert better. For example, you may find that no one completes your contact form because it’s too long. Knowing this information means you can go back and change it, thus increasing your number of leads. If your business operates from a physical location, this is a big one. You don’t even need a website to achieve success and visibility on Google Maps. It’s such an important step for small businesses that we’ve written a whole post on how to get your business on Google Maps. Check it out for all of the details! Everyone occasionally spies on their competitors, but this time really take a look at what they’re doing online that appears to be working well. Does their Facebook page have a lot of fans? Does their content receive great comments? Is their website well designed and user friendly? Take notes on what you could be doing to get to their level and start implementing it gradually into your strategy. Chances are that your much bigger and longer established competitors even paid a fancy digital agency to give them this advice – you can observe it for free. Email marketing is one of the highest converting digital marketing channels. Right from the start, you should be building a list of email addresses that you can reach out to. Over time this will become a valuable audience, as many will be people that have purchased from you in the past. Send emails out when you have an exciting new product or service on offer, or when you’re offering discounts or promotions. A good tip is to sign up for email updates on other sites within your industry. See what you find compelling and create something similar for your subscribers. What digital marketing channel works best for your business? An easy way to keep tabs on your competitors is to set Google Alerts to keep you updated on their progress..
Great article! This is very insightful. Knowing the affordable means of reaching my customers than the traditional means of marketing. What a means of doing effective competitive analysis of my competitors on a daily basis. Please keep this information coming! This is an area I have always wanted to learn more about esp content creation and studying the impact of Google Analytic's on a business social media strategy. Nice post.